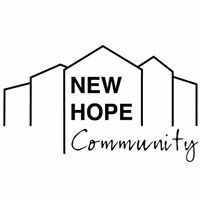 SPONSOR: NEW HOPE COMMUNITY INC. = dedicates itself to creating an environment where individuals learn to live as independently as possible. We believe that the empowerment of individuals to make their own decisions and choices and to enhance the quality of their lives. Today, New Hope Community supports over 200 people in homes across Sullivan County, New York. They are involved in educational and recreational programs, full-time employment, and just simply living full, active, enriched lives. Come see what NEW HOPE COMMUNITY, INC. has to offer to you, your business and your employees! In order to get the Adv. Registration price you must register before 3:00pm on Apr 3rd, otherwise you will be billed the Registration price of $25.00. Please bring a non-perishable food item or personal hygiene item for our local Food Pantry!